What Are Some Ideas for 3D Math Projects? From the Pyramids of Giza to the Memphis Pyramid, human beings have been making these triangular structures for eons. Because the structures have appeared in many ancient cultures across the globe, most children learn about pyramids several times over the course of their education. 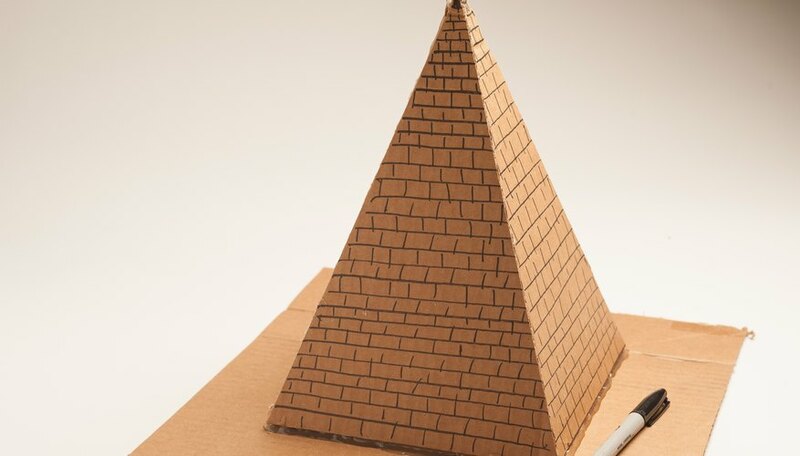 A popular school project is for students to make model pyramids of their own. 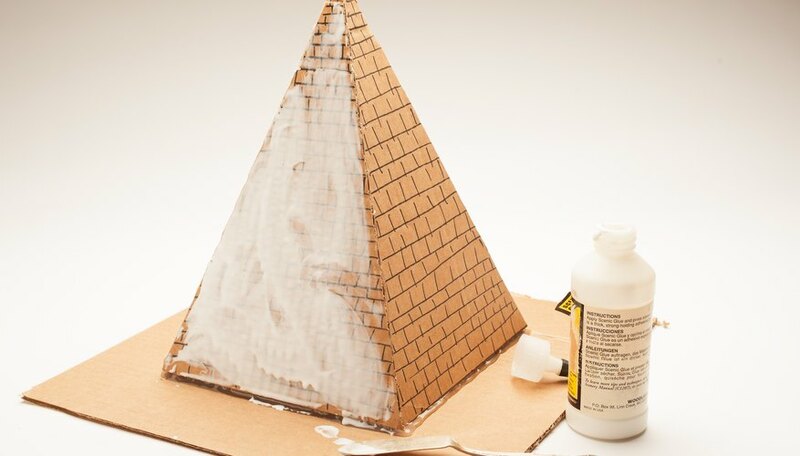 Making a realistic pyramid model for a class project can be easy and inexpensive. Perhaps the most famous of the structures, the pyramids of Egypt have a long history and have been the focus of numerous films and theories surrounding their construction. The oldest pyramid in the country was built in 2630 B.C, and the structures regularly found use as tombs for pharaohs, the country's royalty who claimed to be divine. Such was the Egyptians skill at preserving the bodies of these rulers, that many specimens, known as mummies, survive today. Not all pyramids have flat sides. Mesoamerican cultures like the Aztecs, Olmecs, and Incas build their own pyramids with steps running along their sides. Built from around 1000 B.C. up until the Spanish conquest of what is now Central and South America, these structures had many uses. Like their Egyptian counterparts, these pyramids had tombs but were also used for military purposes and, the Mesoamericans believed, to house their gods. Pyramids are common around the world. They have a low center of gravity, and they are very sturdy structures. 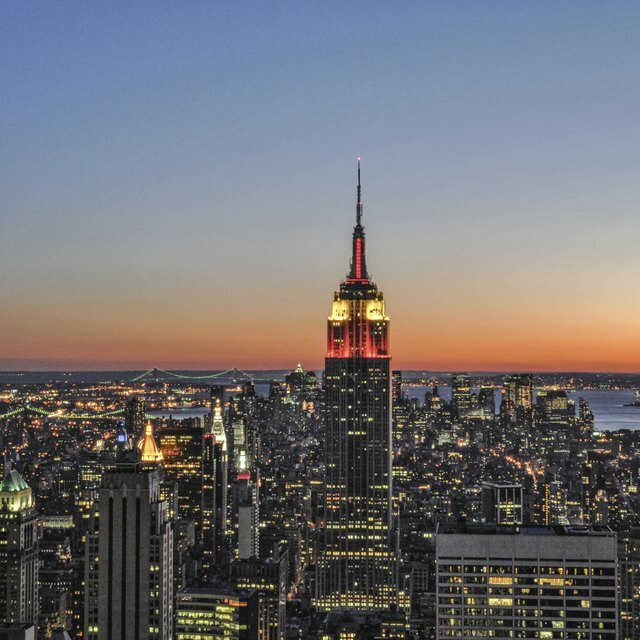 They appear naturally in nature, mountains for instance, and humans still use their shape in buildings to this day. 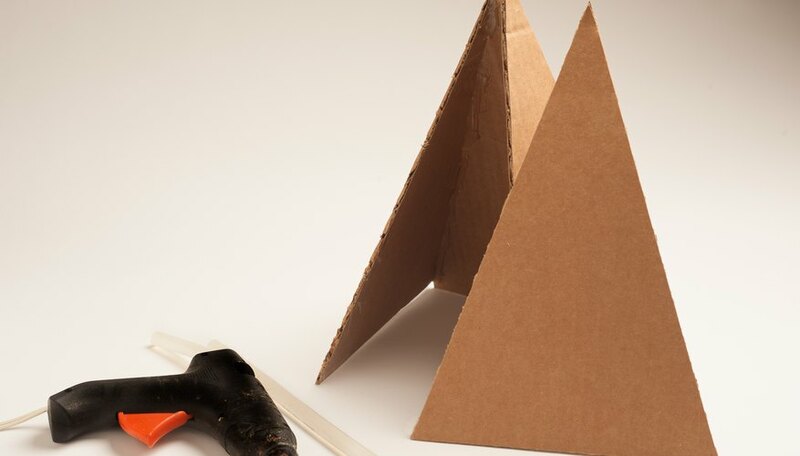 Cut out four triangular cardboard pieces that are each 8 inches wide at the base and 12 inches tall. Hot-glue the sides of all four triangles together to form a pyramid shape. Cut out a piece of cardboard that's 14 inches square. 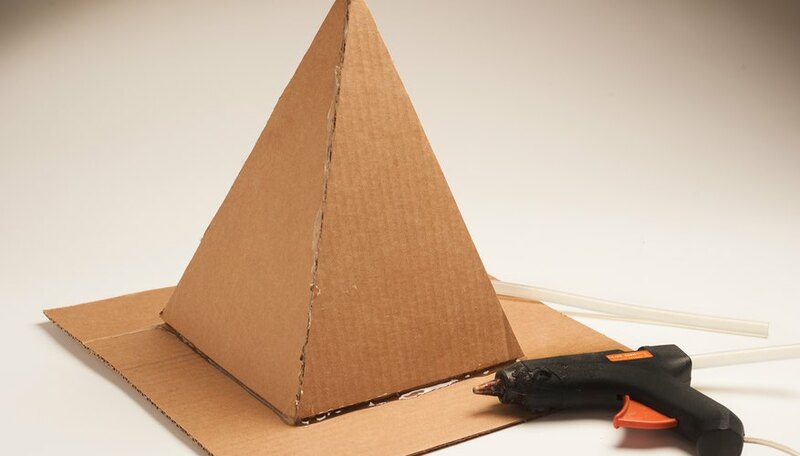 Hot-glue the bottom of the pyramid into the middle of this cardboard piece. Draw several vertical and horizontal lines on each side of the pyramid with a dark brown or black permanent marker to imitate the appearance of bricks. Drizzle glue over the pyramid and the base. Use a butter knife (or your fingers if you don't mind getting messy) to spread the glue into an even layer over each surface. 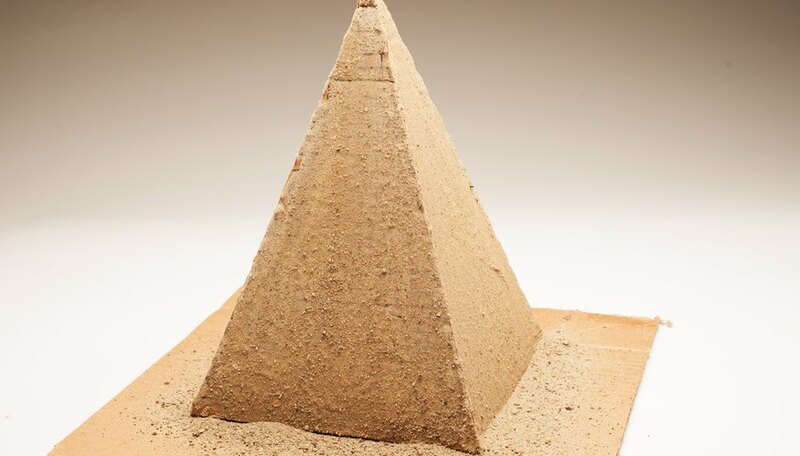 Pour sand over the pyramid and the base while the glue is still wet. Courtney Clark studied English, creative writing, film and history at Southern Virginia University from 2005 through 2008, earning a Bachelor of Arts. During her time at SVU, Clark participated in the English Honors Society and the university's film club. How Much Did the Pyramids Weigh? Clark, Courtney. "How to Build a Pyramid for a School Project." Sciencing, https://sciencing.com/build-pyramid-school-project-5467882.html. 26 April 2018.